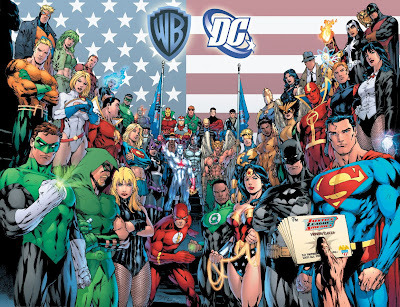 After years of working with DC Comics, Warner Bros. had finally decided to unify DC Comics' relationship with Warner Bros. by creating DC Entertainment. According to Variety, with this new arrangement, DC Entertainment will now be run by Warner Bros. vet Diane Nelson, famous for the Harry Potter movie fame and Warner Premiere, which produces original direct-to-DVD pics, including several based on DC's more iconic heroes. "It's no secret that DC has a myriad of rich and untapped possibilities from its deep library of iconic and lesser-known characters," said Alan Horn, Warner Bros. Entertainment prexy and chief operating officer. "The formation of DC Entertainment will help us bring more DC properties across additional platforms to fans around the world." But as part of the changes, the recent DC Comics President and Publisher Paul Levitz must step down to a new post as a writer, contributing editor and consultant to DC Entertainment. His roles will include advising DC on rights-holder relationships, especially when it comes to DC's complicated co-ownership of Superman rights with its creators. "After so many roles at DC, it's exciting to look forward to focusing on my writing and being able to remain a part of the company I love as it grows into its next stage," said Levitz, who has written Batman, Wonder Woman and Superman comicbooks in the past. It is also evident that the deal comes in a very good timing after Disney's $4 Billion acquisition of Marvel Comics but Nelson said that everything is pure coincidental for WB had been working on such a move for nearly two years. I guess Warner Bros. is really serious in doing comic book movies. This is getting very interesting. Well good luck to DC Entertainment and I hope this changes will give way to flicks that we will all love... or hate.